1995 Boston Whaler Dauntless 15' center console in good condition with Humminbird depth finder, 70 hp Johnson outboard, and trailer. New tires, many new boat parts. Boat was winterized at dealer. Can show it on trailer on Long Beach Island. 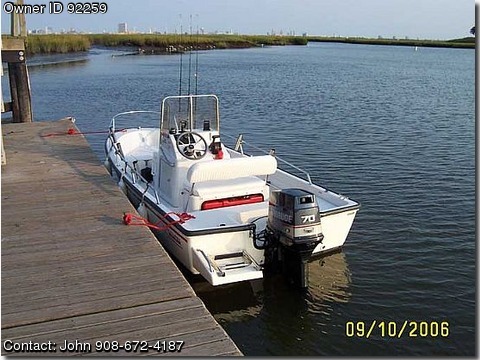 (Picture attached is a 15' Boston Whaler Dauntless with a swim platform, which I do not have.) It is a good boat, well suited for fishing or skiing; Boston Whaler is the unsinkable legend.